The SQL DATALENGTH is used to return the number of bytes used to represent a specified expression. 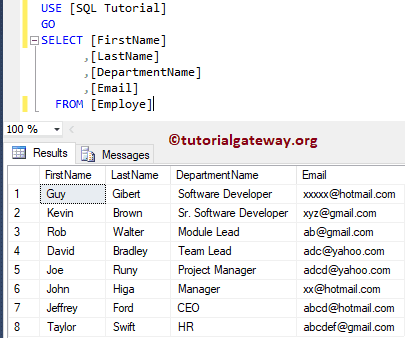 In this article, we will show you, How to use/write DATALENGTH in SQL Server with an example. This function is very useful for VARCHAR, NVARCHAR, VARBINARY, TEXT, NTEXT, and IMAGE Data Types because these data types will store the data length. The DATALENGTH Function is used to return the number of bytes used to represent a given expression. The following query will show multiple ways to use the DATALENGTH function. Below lines of code is used to declare string variable of Type Varchar and Nvarchar, and assigning the same data to both the variables. In the below statement, We used DATALENGTH function to find the data length of both the variables. We also assigned a new name to that result as ‘Data Length’ using SQL ALIAS Column. In the next line, We used the DATALENGTH Function directly on the string. 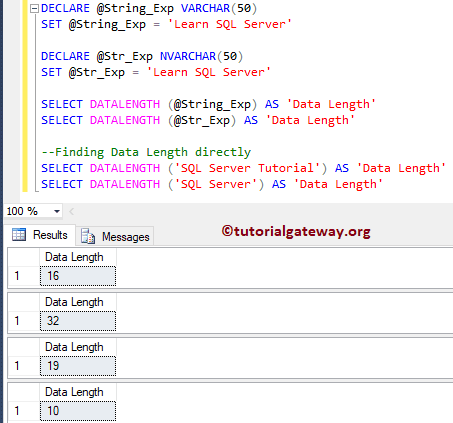 The SQL Server DATALENGTH function also allows you to find the number of bytes in a column. 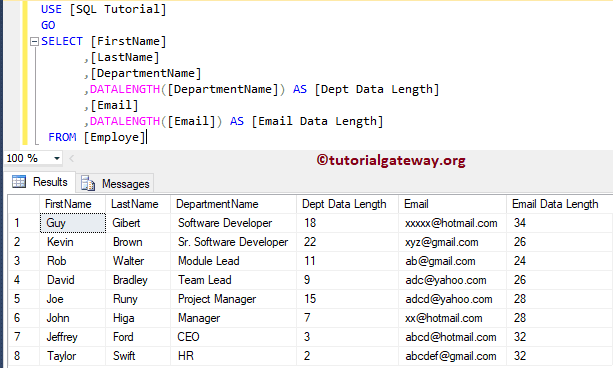 In this example, We are going to find the Data length of a Department Name and Email columns.